Below is an excerpt from Jeff Chu’s new book, “Does Jesus Really Love Me? 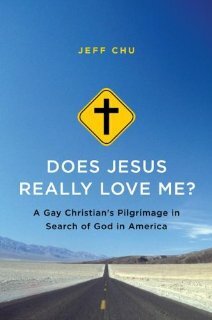 A Gay Christian’s Pilgrimage in Search of God in American”. The book is being released March 26th and is available for pre-order now here. The book also includes a chapter about me and my journey. You should definitely check it out!